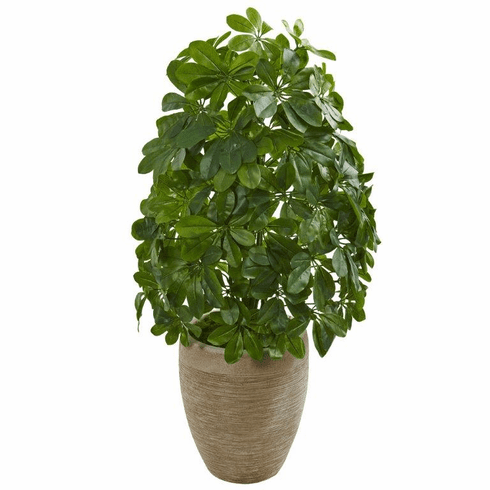 With its real to the touch vibrant and lush green leaves, you'll be stunned by how real this artificial schefflera plant feels under your fingertips! Standing gracefully in an included sand colored planter, this magnificent ornament will bring the beauty of the tropics into your home without the need of maintenance. Bursting with vibrant greenery, it'll make a great addition to an empty corner. Or, it will accentuate your one of a kind wall art in your hallway.